Entire communities are created through Twitter, Facebook, and other social media sites. People use the sites to raise awareness about trucking accidents, to share information about resources, and to circulate petitions to send to lawmakers. Others use social media to discuss laws or to alert people about dangerous trucking companies or dangerous trucking industry practices. If you want to get involved, you can use your own social media accounts to send the message out or sign petitions online. Shining a spotlight on the issues makes them harder to ignore. 2) Speaking out through the justice system. Many people who have been injured due to negligence or recklessness file personal injury claims in Miami or other communities against truck carriers, municipalities, drivers, and other liable parties. In some cases, these lawsuits make the news and shine a spotlight on the issues that affect road safety. Comedian Tracy Morgan, for example, has filed a lawsuit after he was seriously injured in a collision with a Walmart truck. These types of legal action can also help plaintiffs recover money so that they can afford quality medical care and can push truck carriers and other liable parties to make safety changes. 3) Pressuring legislators to make electronic logs mandatory. 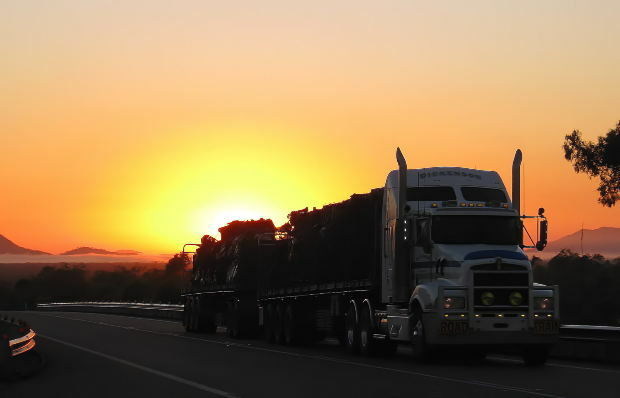 Safety experts agree that there are many things that can be done to reduce the risk of trucking accidents. For example, many safety advocates have been trying to make electronic logs mandatory. These would help keep track of miles driven and rests taken and would be harder to falsify than written log books, which might make compliance with federal rules easier for drivers. Some advocates would also like to see reduced driving hours for drivers become law or would like to see trucks equipped with under-ride guards to prevent car occupants from being injured in under-ride accidents. The general public can help by signing petitions or writing to their elected officials about these issues. 4) Setting up advocacy groups. Many of the advocacy groups that are set up to stop distracted driving in Miami, drunk driving, trucking accidents, and other issues are founded by people who have been injured or have lost loved ones in traffic collision. These groups offer resources for those who have been injured, agitate for legal changes, and take part in other work. You can help by joining groups that interest you or by volunteering your time to these efforts. If you have been injured in a trucking collision, contact Flaxman Law Group at any time for a free consultation to review your situation with a member of our legal team.